An almost guilt free dessert for when you are trying to eat healthy, but just need that little treat. Even when we're being good, we need to be just a little bit bad, right? 1. 1. Melt chocolate and water slowly in a heat proof bowl over simmering water (bain marie). When it has melted sit the bowl on a cool surface for a couple of minutes. 2. 2. Separate the eggs, beat the yolks with the honey until creamy. 3. 3. Clean off your whisks and then beat the whites until they reach stiff peaks. 4. 4. Beat the chocolate into the egg yolks and honey mix with a wooden spoon or spatula until smoothly incorporated. It’s important that the chocolate is cool enough, otherwise the eggs will cook. 5. 5. Mix about a third of the egg white mixture into the chocolate mix to loosen it. 6. 6. Fold in the next third of egg white to the chocolate, with a metal spoon, followed by the last third. 7. 7. 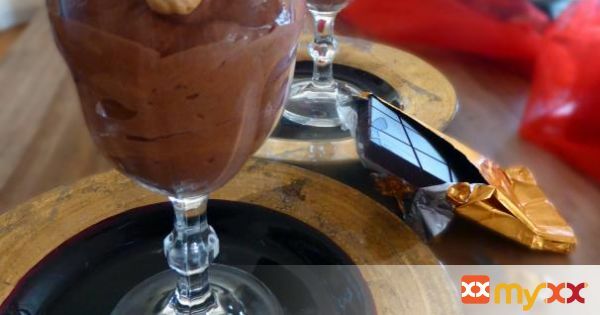 When everything is evenly mixed together, pour into the bowls or glasses in which you wish to serve the mousse and chill for a couple of hours before serving.